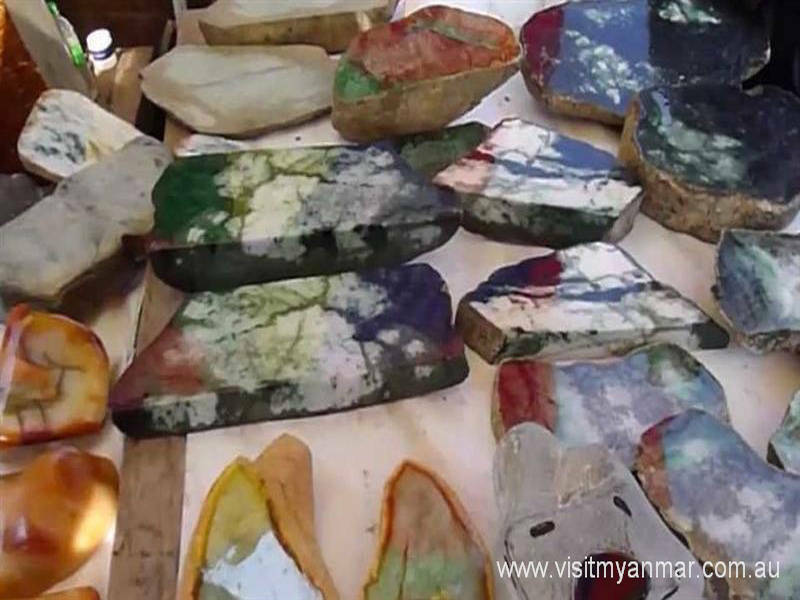 No trip to Mandalay, Myanmar is complete without a look at the Jade Market. 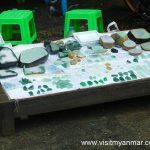 Classic or common jade which comes mainly from China is called nephrite, whereas jadeite, the rarer type of jade, comes from Northern Burma. 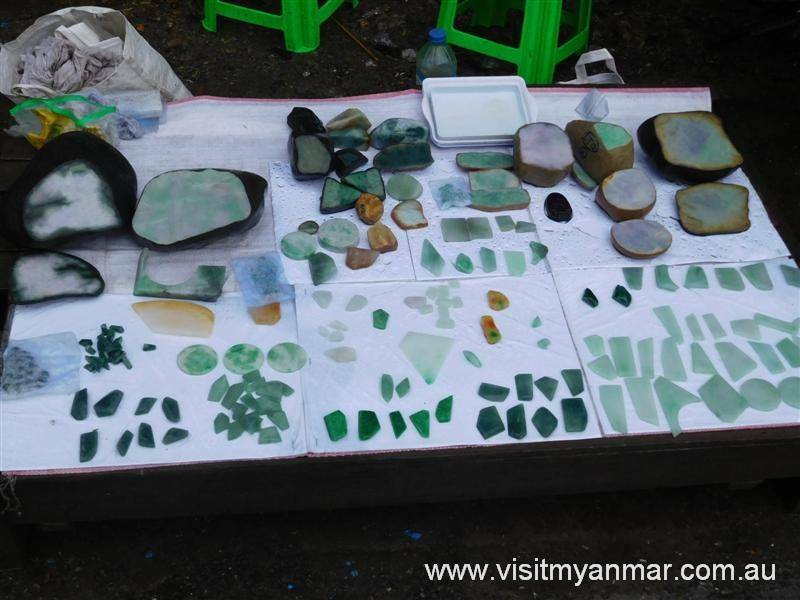 Burmese jade holds the title of being the highest quality and most valuable jade in the world. It is highly sought after for its near transparent colours ranging from white through emerald green and purple to black. 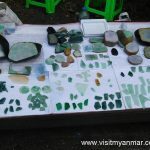 Most of the jade mined in Northern Burma goes mainly to other Asian countries for use in jewelry and other products. And where do you think most of the buying and selling primarily takes place. You guessed it, in Mandalay’s Jade Market. 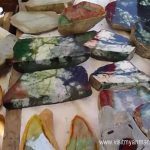 From daybreak teams of workers just outside the market start cutting the blocks of jade into smaller pieces which are then shaped, sorted and polished. 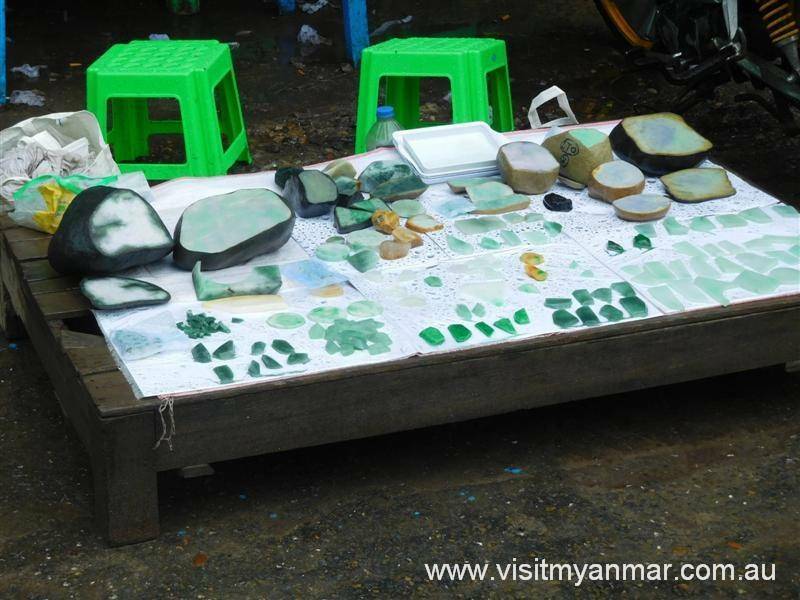 The polished blocks and gems then move into the market which normally opens up for business around 9am. 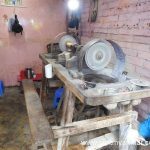 Inside the market you have different areas for low, medium and high quality gems. You also have three groups of people; buyers, sellers and brokers. You will see row upon row of buyers sitting patiently with a display of samples of the gems they wish to purchase. Brokers have a look to see what they require and then go off to find the right seller for each buyer. 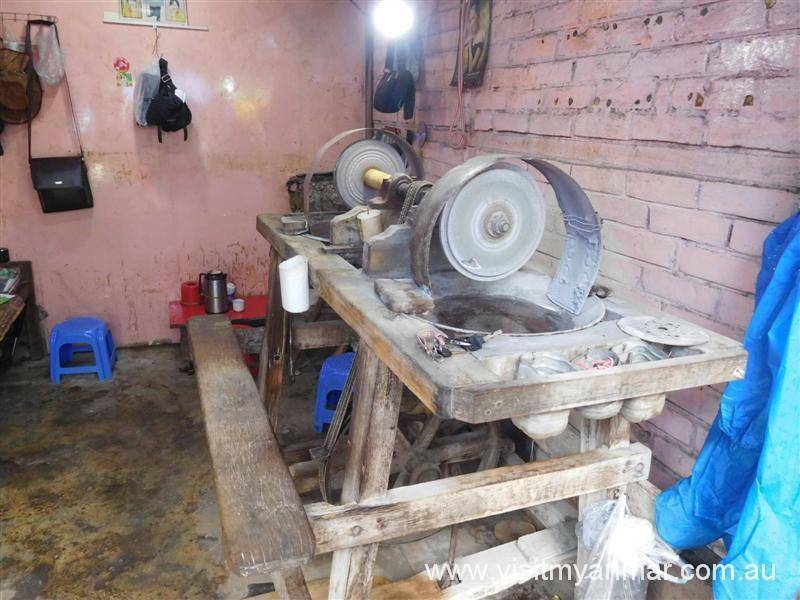 The quality of offered gems is checked by the buyer and then the bargaining begins. You will also see groups of sellers with their wares on display. 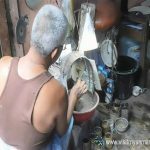 A word of caution, if you do not know anything about jade you could be better off going to a local jeweller. This place is for the professionals. In the center of the Jade Market you will find cafes, coffee shops and even air hockey – pool tables for those that need a rest from the stress of dealing in precious jade. 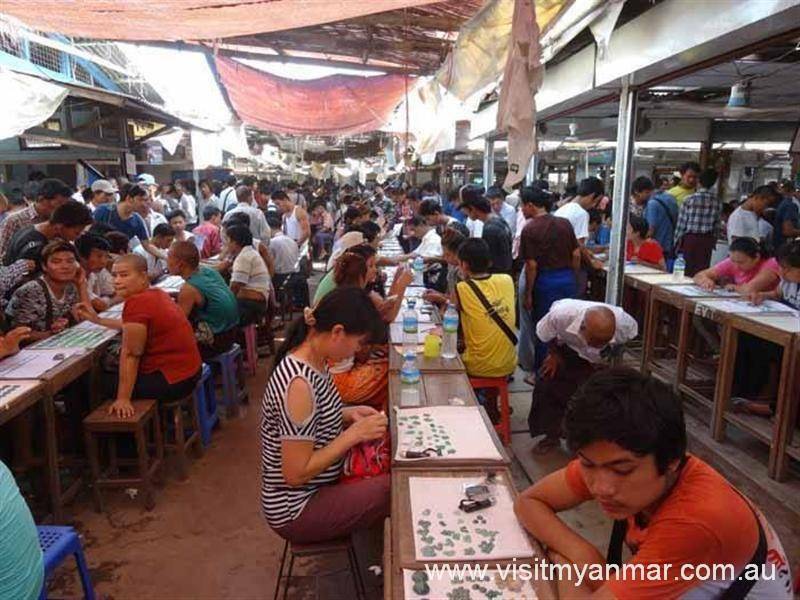 There is a 1,000K – $1 entrance fee for foreigners to enter the market. 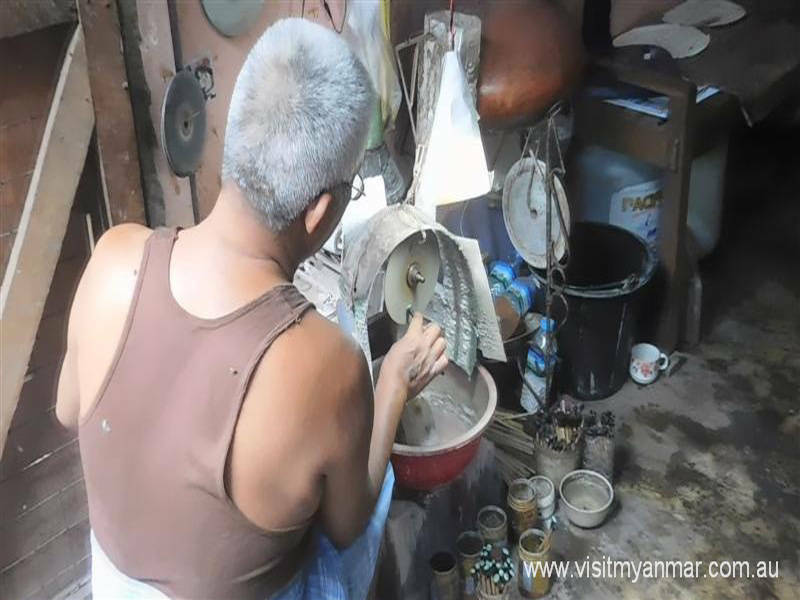 If you want to spend some time viewing beautiful Burmese jade and see it turned into gemstones and jewellery with the added bonus of checking out a hive of action, head on down to Mandalay’s Jade Market, it will be an interesting experience.